The classic comedy premise in a NEW, quality constructed, device that’s EXTRA LOUD for EXTRA LAUGHS to make anything a lie detector! The Perfect “push button” Comedy bit for Best Man Speeches, Roasts, and Retirement events! Fantastic Fun for Family and Kid Audiences! The lie detector is a classic comedy premise that can now be done by anyone, singlehandedly, with the supplied gimmick that’s EXTRA LOUD for EXTRA LAUGHS! 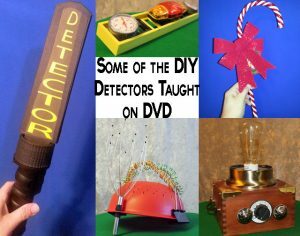 Robert shows ON THIS DVD how to easily and inexpensively MAKE this battery operated GIMMICK into a Security Metal Detector along with over half a dozen examples of various other lie detector props you can READILY CREATE. But YOU CAN USE IT TO MAKE ANYTHING INTO A LIE DETECTOR OR USE IT BY ITSELF! This non-remote controlled battery operated device repeatedly buzzes when a lie is told. A secret switch does it all. The crowd goes wild as the lies go on and on! The potential for fun and excitement with Baxt’s LIAR • The Ultimate Comedy Lie Detector Routine is endless! Have a spectator come on stage and ask him if he likes his boss. “BZZZZZZZZ!” Ask if he loves his wife. “BZZZZZZZZ!” Ask him if his boss loves his wife! This time it does NOT go BZZZZZZZZ! Laughs galore! Use it as a running gag throughout your show. Ready to go immediately! It’s the easiest to use and most practical magic gag you’ve ever seen, Under the complete control of the performer at all times. COMES COMPLETE WITH DVD AND SECRET DEVICE WITH BATTERIES, & OVER 23 PAGES OF ROUTINES, INSTRUCTIONS, LINES, JOKES & BITS INCLUDED IN A FILE ON THE DVD FOR BOTH KID, FAMILY, AND ADULT SHOWS!! NOW IT CAN BE DONE WITH ANYTHING! CLOSE-UP AND STROLLING! EXCELLENT FOR KID AND FAMILY AUDIENCES! Use it at any event where there’s a special guest being honored. It’s the perfect routine for roasts! Works for large crowds and small crowds! Use it at trade shows to prove how the competitions’ claims are lies! Close-up and walk around, it can be taken from table to table as you ask funny questions and perform your magic. Robert Gives Away All His Comedy Tips OnThis Surefire Crowd Pleasing Routine! MOST IMPORTANTLY: It comes with performance footage AND a file with pages and pages of Robert’s jokes, lines, questions, and suggestions for your ease of use. INCLUDING HOW TO CREATE YOUR OWN LIE DETECTORS! BEST OF ALL, YOU DON’T HAVE TO MEMORIZE THE QUESTIONS! PRINT THEM OUT AND PUT THEM ON A CLIPBOARD AND YOU CAN JUST READ THE ROUTINE AND TAKE THE CREDIT! It runs on 3 button batteries (included). “Robert Baxt is not only a great magician, but he’s also a comic genius!” -Wayne Kawamoto, review for “LIAR” DVD & Gimmick on About.com. “I live in Los Angeles and do lots of celebrity parties and I use Robert’s Lie Detector in every show. It’s great and that’s no lie!” -Rob Rasner, Hollywood, CA. “I use a lie detector in all my shows and your “LIAR” DVD has lots of good ideas and several lines that I will use. 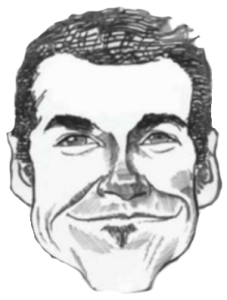 Thank you It’s more than worth it alone, just for the jokes and lines!” -Brock Edwards, Long Beach, CA. “I have used my ‘Baxt Lie Detector’ in over 200 shows this year and I love it!” -Ralph Metzler, the official magician for the annual White House Easter Event in Washington, D.C.
GUARANTEED TO BRING THE HOUSE DOWN AND THAT’S NO LIE!! OUTSIDE THE UNITED STATES: Price $72.95 Includes Priority Shipping To ANYWHERE IN THE WORLD! (BUT! Order Select Other Items and get combined shipping for less! Email robert@robertbaxt.com with your full list to find out shipping).